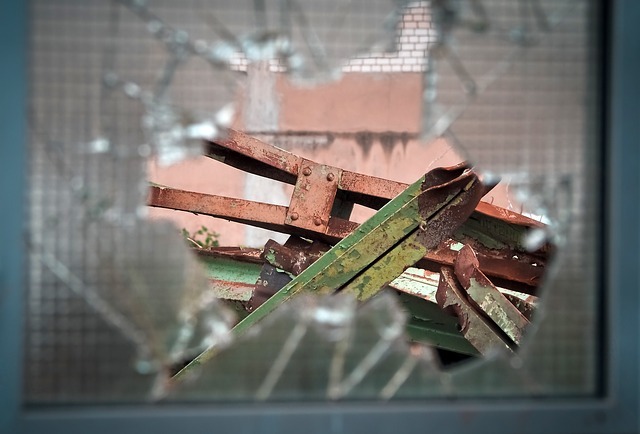 There are 5 main questions we are going to ask you when you call us to get your broken glass repaired, and if you have pretty good answers to these 5 questions, we can give you a price over the phone. We don’t mind coming out and giving you a free estimate, but in order to speed things up and to resolve scheduling conflicts, sometimes it’s easier to give you a price over the phone. Is the glass single pane or dual pane? Believe it or not sometimes this is a difficult question for many people to answer. Essentially, we are talking about the portion of the window that is broken, are there two pieces of glass or one. 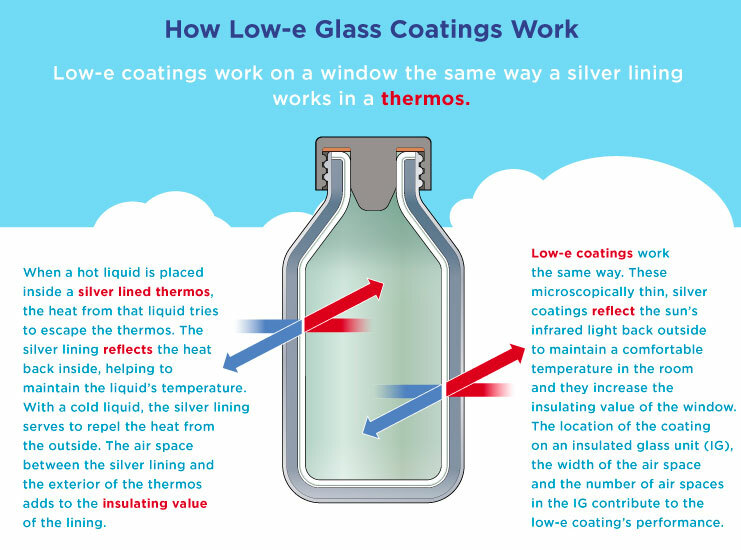 Glass is clear, its designed to be see-through so this isn’t always the easiest thing, but here is a graphic that shows how insulated glass works, so when you know what you’re looking for, it might make it easier. Sometimes it’s easy to tell because the outside glass is broken, but the inside piece is still intact so that makes it easy. It’s when they are both completely broken out that makes it hard to tell. However, this makes a huge difference in price, so knowing whether the glass is single pane or dual pane is always the first question we ask. 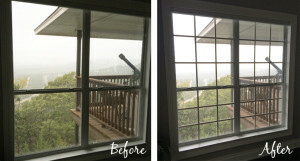 In general, we charge a flat $150 dollars for single pane glass repair. You may find it out there somewhere else cheaper, but they usually try to upsell you later, or tell you the glass is bigger or thicker etc. In today’s day and age, it just costs $150. 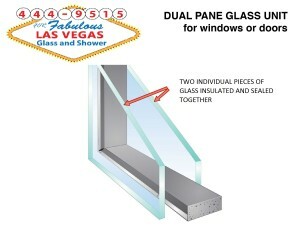 Dual panes range from $200 to $400 usually depending on the size and a few other items we are going to discuss now. The second question we are going to ask you is, “Is the glass tempered or not?” The easiest way for you to tell if the glass is tempered, is if it shattered into a hundred small pieces. If it shattered into very small pieces, its tempered. 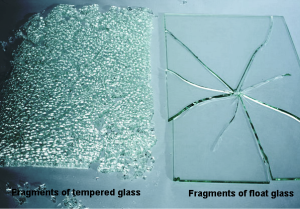 If the glass broke into large uneven shapes of shards of sharp glass, then it is not tempered (annealed glass) and this makes a price difference as well. Tempered glass is sent through a very expensive machine called a tempering oven. The glass is cut to size, and then ran through this machine which heats the glass to very high temperatures, essentially strengthening the glass, making It harder to break and also making the glass safer since it shatters into small pieces. 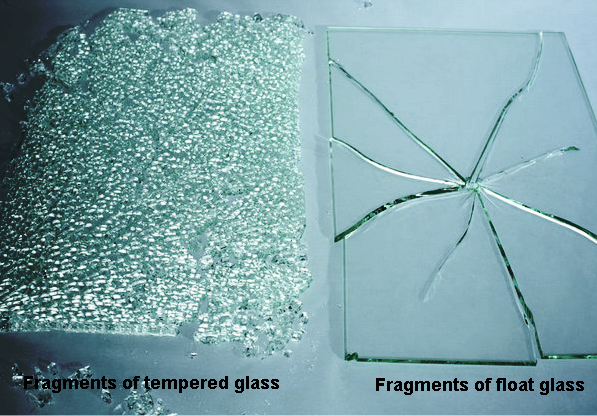 A shard of glass is very dangerous, but a small piece of tempered glass may cause a minor scratch but that’s all. 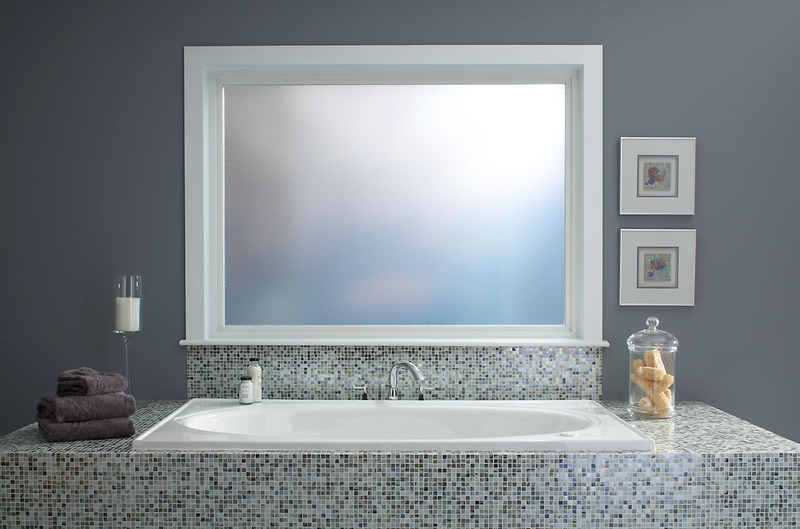 Usually tempered glass is found in places like a stair landing, a shower enclosure, near a door or near a pool deck. Anyplace where there is a risk of tripping and falling, where someone may fall and crash into the glass, building codes require tempered glass. 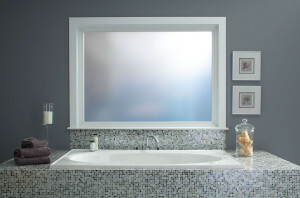 The third question we are going to ask you is, is the glass Low-E Glass or not? Simple; if your house was built after 2007, 90 percent chance its Low-E glass. Before 1998, probably not, anywhere in between, maybe. 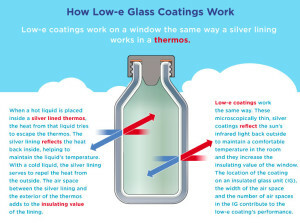 If you don’t know if the glass is Low-E or not, it will be pretty hard for a novice to tell if the glass is Low-E or not so we will probably have to come check for ourselves, but maybe a quick explanation of Low-E glass will give you an idea. 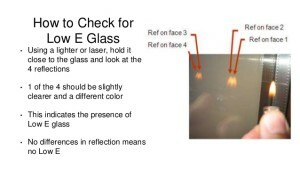 Low-E glass will have a very small color tint to it. If you hold up a piece of white paper and press it up against the glass, the paper will look greenish. Not enough to where it’s completely obvious but enough for us in the business to tell. Also, when the glass breaks, and both sides (interior and exterior) break. You can hold up a piece of the interior glass, and a piece of the exterior glass and hold them up next to each other, they will look a lot different. Another method I have heard as to how to check for low-e glass is to hold a match or a lighter up to the glass. Normally you will see 4 images reflected in the glass. One image for each surface of the glass. One for the front of the interior piece of glass, one for the back of the interior piece of glass and the 2 for the outside piece, front and back. 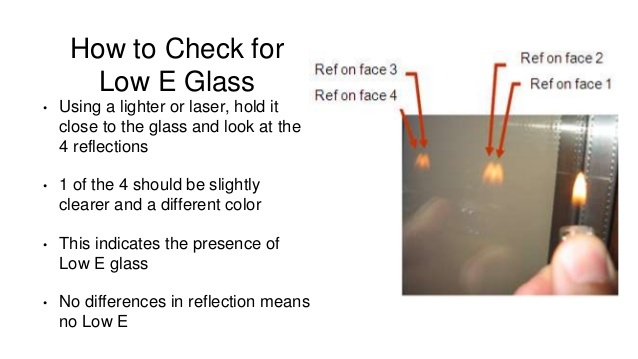 If you have Low-E glass, one of the flames in the reflection will have a difference color than the other 3. This seems like a lot of work just to find out if you have low-e I agree, the price difference between clear glass and low-e glass isn’t that significant, so if you aren’t sure whether you have low-e glass, just assume it is clear and we will base the price on that. Just be prepared for a small increase in price if it is Low-E. In my opinion, even if your home does not have low-e glass, when you have a broken window I would replace it with low-e glass. The benefits you get, outweigh the cost difference. 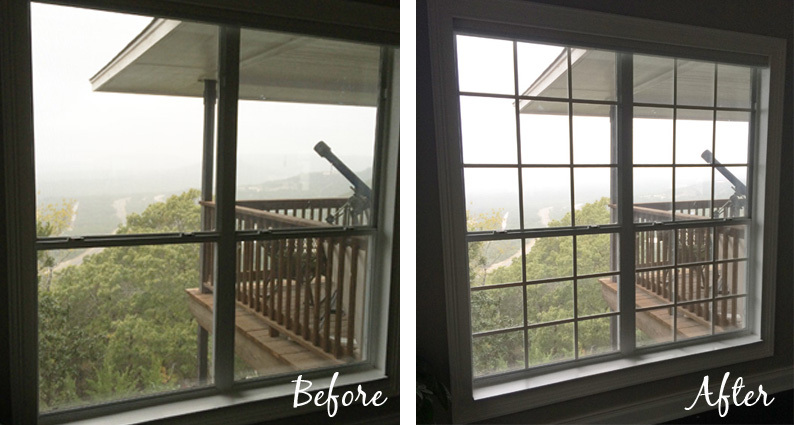 Many people who have newer homes, that don’t want to completely replace their windows, will sometimes go through the entire house and change all of their glass to low-e. It saves on utility bills, protects furniture and blinds and makes the home more comfortable to live in. Here is a picture that is very simple explanation of how low-e works, as compared to a thermos. The fourth question we will ask you about your broken window in Las Vegas, is whether or not the window has decorative grids. These are metal crosses installed between the glass to give them the appearance of divided window lites, like windows were in the old days. 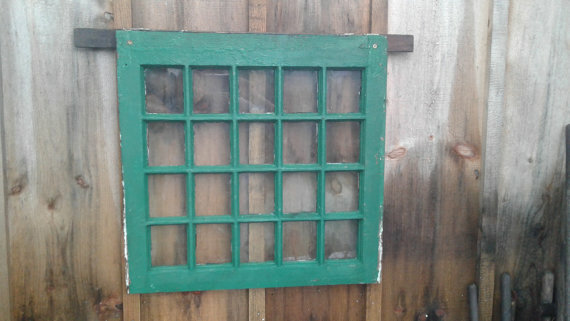 Long ago it was difficult to transport large pieces of glass, so if you wanted a big window, you would have to make a grid of small windows put together (usually with wood in between each piece) similar to a French door. Nowadays windows like that are a pain to wash and large pieces of glass are easier to manage, so if they want that look, they just put grids inside between the insulated glass unit, as a purely decorative gesture. In my opinion they look cheap and fake but I am not the buyer of the home so apparently, a lot of people like them. Normally, these windows are only on the front of homes, as home builders only put them on the front elevation to make the homes look similar to have that neighborhood feel where there are only a few different home styles in each neighborhood. I am surprised by how many people I ask, that say no there aren’t any grids and when I get out there, there are grids. I say, “I asked you if there were grids, and you said no.” Their normal response is that they never noticed them. The last question we are going to ask you before we give you a price over the phone is “what is the size of the glass?” I know crazy right, that we would ask the size last, but this is the easiest one so we save it for last. Sometimes. Price is based on glass square footage so we will need to know the size, but it doesn’t have to be exact. The price isn’t going to change if you say 32 inches by 46 inches and when we get out there its 32 7/8” x 46 3/16” the price will stay the same. However, there are a few things. Only measure the broken piece of glass. Usually windows open, and one side slides open and one side remains fixed. When a window is broken, usually its only the operating side or the fixed side, so don’t measure the entire window, just measure the side that is broken. If both sides are actually broken, then you have two broken pieces of glass and will require 2 prices. You do not have 1 broken window you have 2, at least in the eyes of the window replacement professional. So, make sure you provide 2 sizes, one for each broken piece, not one size for the entire window. Do not worry about getting exact sizes and be careful. Do not get so close to the glass where it can cut you or injure you in any way. Broken glass is very dangerous. More shards could fall causing serious damage. Better to stay safe and far away and get the measurements wrong than to get them exact and get hurt. The main thing is just to get rough sizes and if you have to estimate, over estimate, that way the price will go down when we get there, not go up. Its perfectly fine to tell me 2 feet by 4 feet. That’s 8 square feet and that will be what your price is based on, so don’t worry about getting any more exact than that, that size is all we need. If we get out there and its 3 feet by 5 feet though, that’s 15 square feet, almost, double, so don’t be surprised when the price goes up significantly. There are several other options with glass and other things that would affect the cost of the glass, but they are not very common and if we asked every person who calls for a price 14 questions, instead of 5 we would do nothing but talk on the phone all day and probably annoy our customers who call for a price. However, that being said, if you don’t want any surprises when we get to the home, just be sure to mention anything that may seem unordinary and might affect the price. I recently had a customer who called us out to replace a single pane piece of glass, where we bring a piece of glass to the home, cut the glass on site and install it. However, when we got there, it turns out the glass was obscure. We brought clear glass with us. 99 windows out of 100 are clear glass, so we didn’t ask him about the 1 percent chance it was obscure. We asked him if it was single pane, if it was tempered and the size. He sat there and measured the glass but didn’t tell us it was obscure. That was something he should’ve mentioned. It also could have been tinted or textured or a million other things but he didn’t mention it, so he had to wait another day with broken glass. If we carried every glass imaginable on our truck, everywhere we went, we would need to drive around with 3 semi-trucks following us. So here are a few other things we don’t ask, but will be worth mentioning when calling for price on glass repair in Las Vegas. Is the glass hard to reach or on the second floor? Is the glass tinted, colored or obscure? If there are grids are they a different color than white? Is it an old window that others have refused to fix in the past? Does the window have a shape such as an arch or a round top? Is the window missing stops or parts and pieces? Is it a sliding glass door? Is it a French door? Is the glass in a storm window? Is the glass in a doggie door? As you can see, we could go on and on, with additional questions that may change the price of the window repair we are going to do for you at your home. However, if you answer the 5 questions pretty well, and advise us of anything that might seem out of the ordinary, we should be able to provide you with a fair price and then stick to that price once we arrive at the home to take measurements. I hope this article has helped you on your quest to get glass repair Las Vegas. One last note. If you do not have the answer to any of these questions, do not fret. We will still come out and give you a free estimate at your convenience. So please call us no matter how many answers you have, we look forward to helping you either way. These questions are just to help give you a price over the phone, so you know what to expect to pay for your broken glass repair in Las Vegas, ahead of time so you can be prepared. But either way, whether you have answers ahead of time or not, we look forward to helping you with your window or broken glass repair in Las Vegas.